A wide selection of orchids will be auctioned off on Tuesday. The Malibu Orchid Society will hold its annual auction fundraiser on Tuesday, April 16. Previews begin at 6:45 p.m., with the auction to begin at 7:15 p.m. at the Pacific Palisades Woman’s Club, 901 Haverford Ave. Light refreshments will be provided. Attendance is free and all are welcome to attend. Orchid expert and educator, Doug Overstreet, will conduct the auction and provide tips on the auctioned plants. 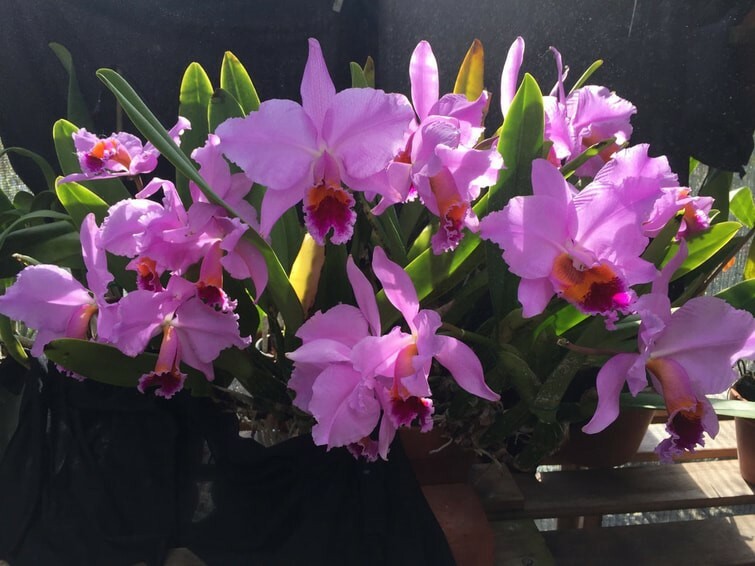 The Orchid Society will offer plants from the finest growers and hybridizers in Southern California, as well as from vendors who exhibited at the recent Santa Barbara Orchid Show. There will be orchids for both beginners and advanced growers. This year’s event will also feature a sales table with orchids and other plants that will include succulents, cacti and various unusual plants from donors, members and residents. The proceeds from this auction will allow the Society to bring speakers to the monthly meetings, who address various topics. The society is an award-winning, volunteer-run, nonprofit organization formed in 1963 to develop interest in orchids; to aid and assist members with orchid growing and culture; and to provide educational information to benefit members and the community.